Customer Returned Arduino Wireless Proto shield R3. In perfect NEW condition. Ships with original box (opened). 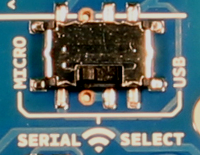 The Wireless Proto shield can be used with different modules with the same footprint as the XBee modules. The instructions below are for the XBee 802.15.4 modules (sometimes called "Series 1" to distinguish them from the Series 2 modules, although "Series 1" doesn't appear in the official name or product description) and also for the XBee ZNet 2.5 or XBee ZB modules, both known as "Series 2" modules. All the modules, basically have the same type of configuration parameters, but differ by the function that they implement and the topologies of networks that they can create. Only modules of the same family can communicate with each other. For the "Series 2" modules you must chose which firmware to put on the module to give it Coordinator, Router or End Device functionality. 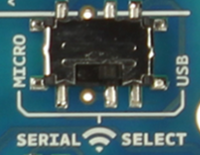 Series 2 use only serial low (SL) and serial high (SH) for addressing.